Promotional Bottle Neckers ideal for GWP Promos. 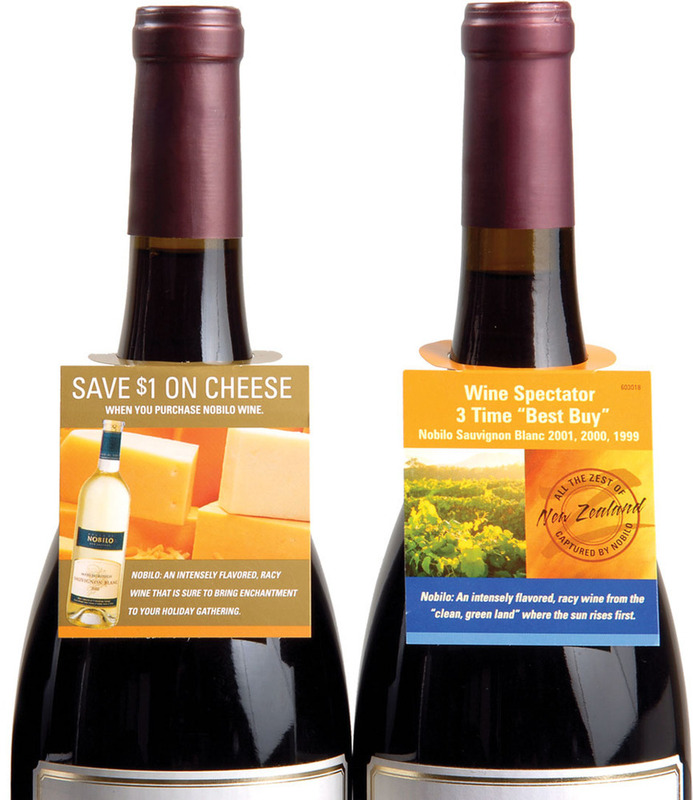 Usually on a bottle of wine or liqueur, it is hard to find space to convey your promotional messages to your customers. Labels can only be so big before all the additional details can destroy the bottle’s overall look and vibe. Solution – Add a creative touch to your bottles with bottle neckers; an extension to your bottle which which hangs around the neck. It acts as a platform for your drink to catch the eye of the consumer and can take many forms. Homogeneous drink categories like bottled water especially rely on promo mechanisms apart from price competition. Utilizing bottle neckers to decorate your bottle with attractive promotional gifts definitely means your brand will stand out from the rest. Also, bottle neckers provide unlimited space for additional information, gimmicks or promotional campaigns. In this era of competitive marketing, bottle neckers have already turned from essential to indispensable for any drinks/oil/alcohol brands out there….. The only way to stand out from your competitors is to communicate differentiation to your consumers; the most practical and cost effective way to show it would be through bottle neckers. On the right you can see Captain Morgan giving away a free customised tumbler glass as a Gift with Purchase to promote sales of their drinks. 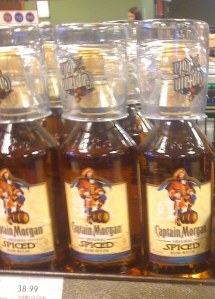 How about packing your drink with the same drink in a smaller bottle? Thinking of launching a new drink and want to test the waters in a new country. In both these cases a bottle necker can work wonders. The perceived value can be enhanced and it will encourage customers to try your new product or buy yours to get that little bit extra for free. Pair your bottle with another promotional product of great utility or which creates synergy, for instance, a shot glass or a champagne stopper. This form of marketing itself benefits your customers by giving them something (incentives) they may need or want. By doing so, you are giving your customers reasons to choose your drink over the other brands in the same price category. Smirnoff executed it perfectly and had an overwhelming response. So why can’t you? Look here. Or even provide a recipe or a food/wine guide like how Michelin did and change the perception of consumers about your brand forever. Accessorize and beautify your bottle with a necker in an eye-catching way to grab the attention of the consumers. Catch that impulse purchase – more often than not consumers determine their buying decisions on first impression which is your packaging. See Southern Comfort’s promotion. Use the necker to convey any ongoing promotional campaigns that you may want your customers to know. A bottle necker may be the best way of going about to raise awareness and get your customers to register for your Facebook campaigns, promotions, lucky draws etc. See here for a perfect illustration. 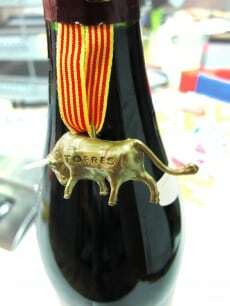 Enable your bottle necker to carry distinct messages about your unique selling points. Why are you different from the rest? Show it through these neckers – you can have a fold out magazine if you want to go into details or give recipes etc….